The beauty of one place is not defined by the number of tourists it gets. Despite having the harsh environment, deserts have a unique beauty that can be found nowhere else in the world. Here the list of 10 most beautiful deserts in the world. Sonoran is an amazing desert that covers 100387 square miles of Southwestern Arizona, Southeastern California, and Northwestern Mexico. This desert receives more rainfall than any others any other desert with 25 to 35 cm per year. Sonoran desert is also known for its rich biological diversity. More than 60 mammals, 20 amphibians, 100 reptiles, 20 fish species, 350 bird species, 2000 plant species live here. Sonoran desert is the hottest and second largest desert in North America.In summer, the temperature in Sonoran desert measures at 40-degree Celsius. But the temperature in some part of this desert also rises more than 48-degree celsius. This desert is home to two mountains named Mount kofa and mount catalina. 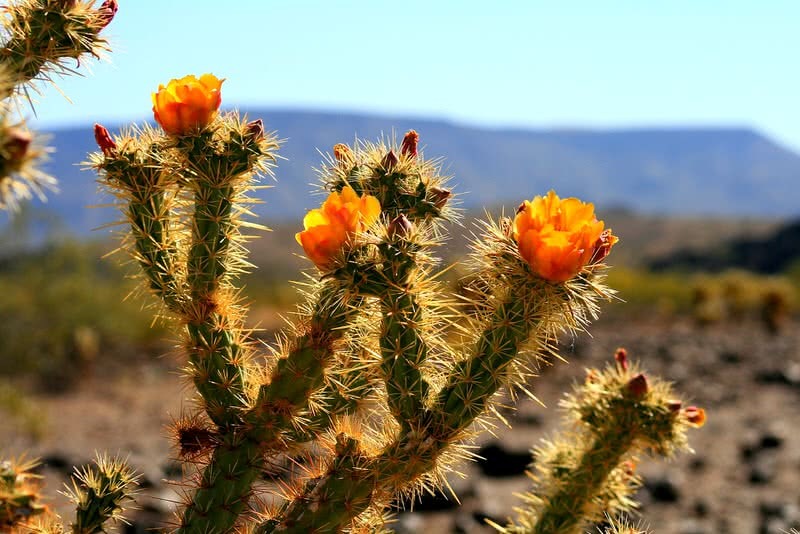 Some of the plant species of Sonoran desert can be found nowhere else in the world. For example, the saguaro, the tallest (70 ft) tree like cactus grow only in Sonoran desert. Also, the beautiful desert ironwood tree is native to Sonoran desert. 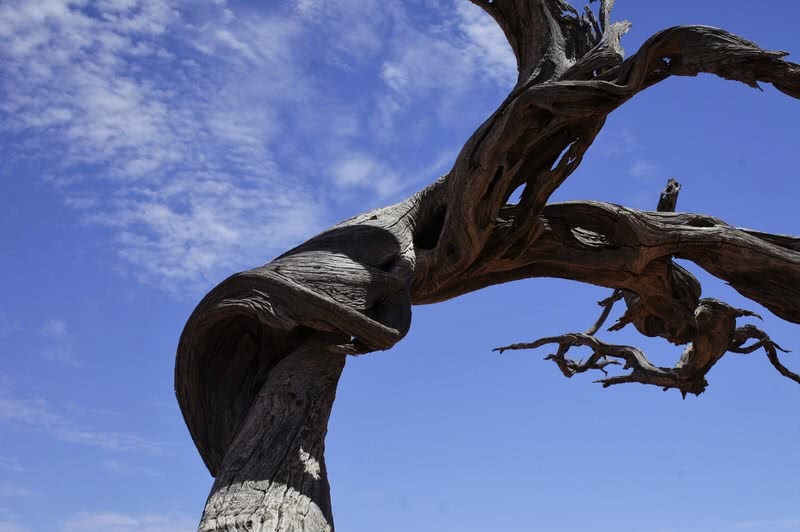 This amazing desert tree lives for more than 1500 years. The Simpson Desert is the fourth largest and probably the most beautiful desert in Australia. It spread across an area of 65637 square miles. The parallel sand dunes are the most highlighting attraction of this desert. The Simpson Desert has more than 1100 parallel sand dunes. Interestingly some of this sand dunes exceed 200 km. In addition to number and length, the sand dunes of Simpson desert are also famed for its brilliant colors including red, orange, pink and white. This arid region receives only 150 mm of rain per year. The average summer temperature in the Simpson Desert is 39-degree celsius. But it can exceed as high as 50-degree celsius. Occupying almost the entire Arabian peninsula, it’s the second largest desert in the world. This spectacular desert spread across a vast area of 90000 square miles. The major part of this desert lies in Saudi Arabia. The Northern side of the Arabian desert border to Syrian desert, South by Arabian sea, west by red sea and Eat by the Gulf of Oman. The climate of Arabian desert is characterized by hot days and freezing nights. In summer, the temperature can be as high as 55-degree celsius. The largest portion of Arabian desert is occupied by Rub’al Khali – the largest area of continuous sand in the world. This part covers an area of 250000 square miles. Rub’al Khali is also known as empty quarter. The Arabian desert contains many mountain ranges. The highest among them is Mount Al-Nabi Shu’ayb. It is located in Yemen. At 3666 meter, Al-Nabi Shu’ayb is the highest point in Arabian desert. Despite the harsh climate, the Arabian desert is a great source of natural resources including natural gas, oil, phosphates, and sulfur. Covering 4700 square miles, the Negev desert occupies more than half of Israel’s landmass. Rather than a large number of sand dunes, what you can see in this desert is canyons and deep valleys. Most important geological formation of Negev desert is a unique erosion crater named makhteshim. It is surrounded by breathtakingly beautiful cliffs. There is a National park located in a beautiful canyon of Negev desert called Ein Avdat National Park. There is an oasis in this National park created by the springs. 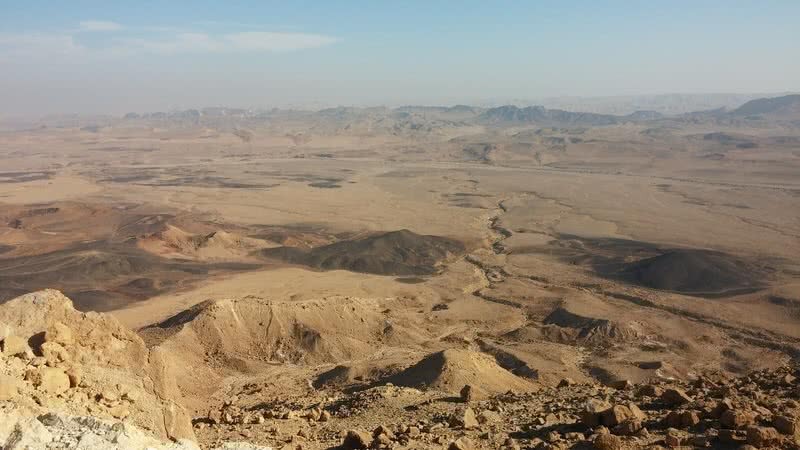 Besides the incredible view, this National Park offers unforgettable hiking through the Negev desert. 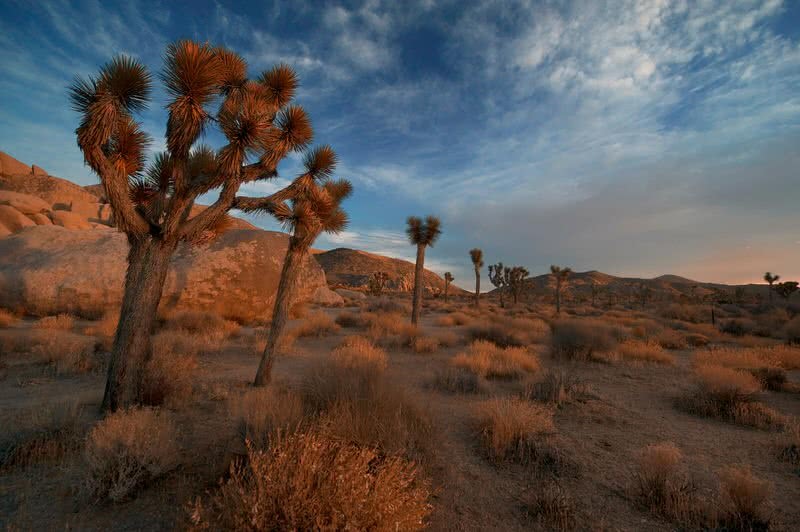 Mojave Desert is the smallest desert in North America. Occupying an area of 25000 square miles, it is located in Southeastern California. This desert also cover some parts of Nevada and Arizona. The Mojave Desert is bounded with Great Basin desert which is a cold desert to the North and the Sonoran desert – the hottest desert in North America to the South. The most highlighting attraction of Mojave desert is Kelso dunes. A stunning dune system that rises 600 feet in height. Created by the Southeast wind, these unique dunes also have eye-catching golden rose color. When comes to plant life, Mojave support only a few species. It includes blue palo verde, desert senna, justicia californica, mojave dalea and joshua tree. 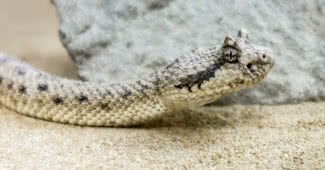 Among these species, most famous one is Joshua tree. It can’t be found anywhere else in the world. It grows 15 – 40 feet in height and lives for more than 150 years. Atacama Desert is the driest desert in the world. Located in Northern Chile, this desert stretches over 40540 square miles. Atacama is virtually a rainless place. Interestingly, some parts of this desert never been recorded rainfall. The average rainfall in Atacama desert is just 1 millimeter per year. 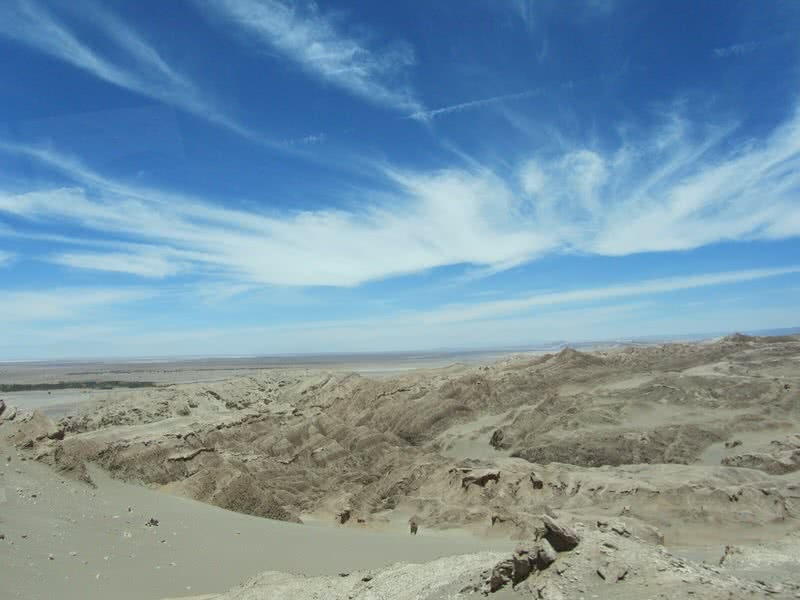 When compared, Atacama desert is 50 times drier than California’s Death Valley. The Andes mountain and Chilean coastal range on both side of Atacama desert block arrival of moisture to the desert. As a result, the soil in this desert arid and lifeless. Interestingly, the soil of this desert also looks like soil from Mars. For this reason, the landscape of Atacama may not seem like a place on Earth for you. The high altitude, clear skies and lack of pollution make Atacama as one of best places for stargazing. There are three international observatories operate in Atacama desert. 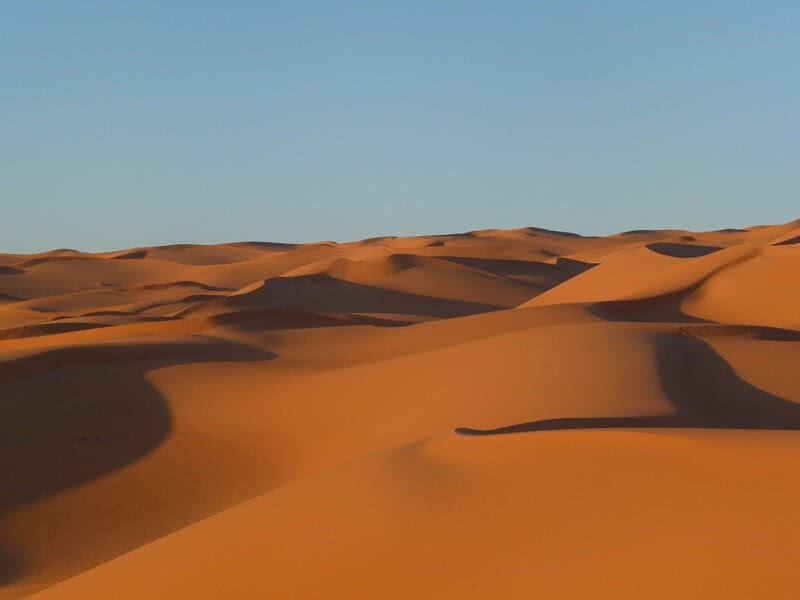 At 3.6 million square miles, the Sahara Desert is the largest hot desert in the world. Considering the size, Sahara is the third largest desert in the world, after Arctic and Antarctic deserts. 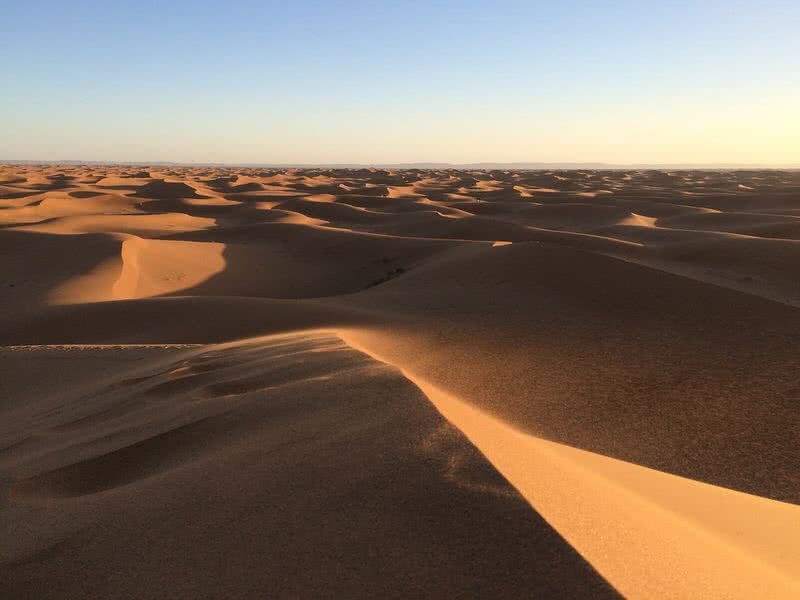 This vast desert covers most of Northern Africa. It bordered Mediterranean Sea to the North, the valley of Niger river on South, the red sea on East and Atlantic Ocean on West. Even in such harsh environment, Sahara desert has an incomparable beauty. The dry valleys, mountains, salt flats, rock formations, sand dunes, gravel plains and oases of Sahara are so unique and breathtakingly beautiful. Almost 25% of Sahara desert covered by dunes. 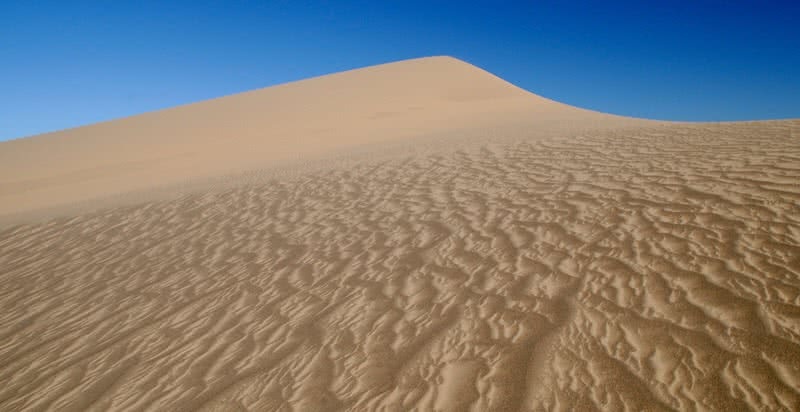 In some places, dunes are as high as 590 feet. At 500000 square miles, covering the land of both Southern Mongolia and Northwestern China, Gobi desert is the largest desert in Asia. This desert also expands rapidly at the rate of 1390 square miles over the grasslands of Southern China per year. The landscape of Gobi desert is characterized mostly by bare rocks. This desert has few sand dunes. Gobi desert contains five main eco regions – Easter Gobi desert steppe, Alashan plateau, gobi lakes valley, junggar basin and Tian-shan range. These ecoregions include various geological features including mountains, salt marshes, rocky landscapes and sand dunes. Gobi desert also has great historical importance. The ancient silk route has been traversed the Gobi desert. Mogao Caves, a series of Buddhist cave temples situated at the Southern rim of Gobi desert. It’s a UNESCO world heritage site. These caves houses 1000 years of Buddhist artworks. Namib desert is home to some of the tallest sand dunes in the world. At 382.8 meter, Dune 7 is the tallest dune in Namib desert. You can enjoy the beauty of dunes at best where Atlantic ocean meet Namib desert at the Southern Part. 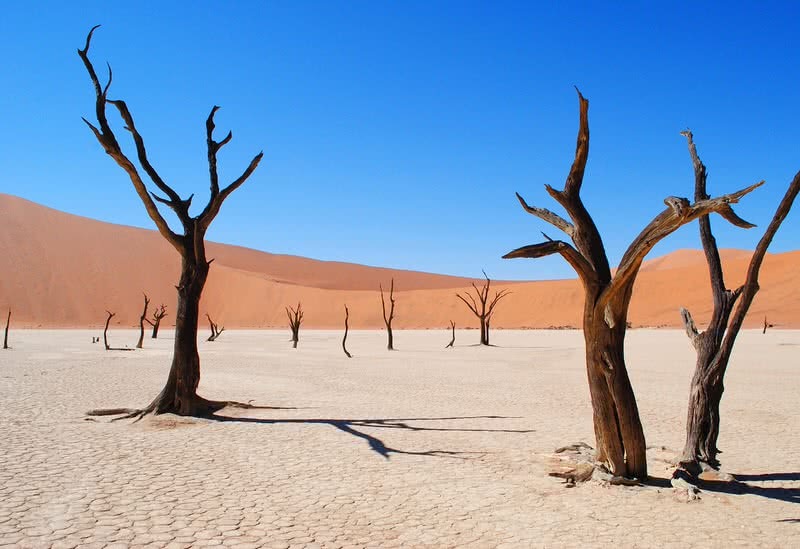 One of the most recognizable parts of Namib Desert is Deadvlei. It’s a clay pan where dead, dark trees stand surrounded by the tallest dunes of Namib desert. It’s a photographer’s paradise and one of the most surreal looking places in the world. 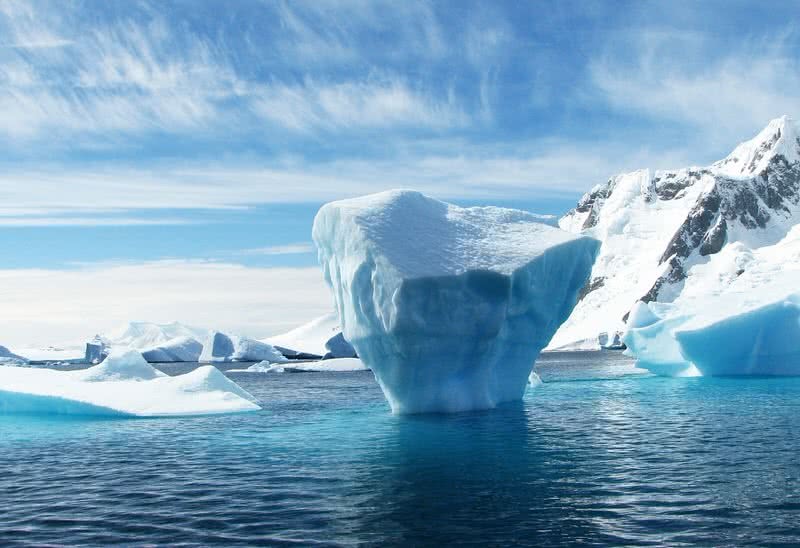 The freezing Antarctica is considered as a desert because it receives only an annual precipitation of 6 inches. With a total area of 5.4 million square miles, Antarctica is the largest desert in the world. It is also the coldest, windiest and driest place on Earth. Despite all these facts, it is one of the most beautiful locations in the world. Interestingly, the highest temperature ever recorded in Antarctica is just 14.5-degree celsius. As you can assume the lowest temperature ever recorded on Earth is also in Antarctica, at – 94.7-degree celsius. It is also the windiest place on Earth. The wind in some parts of Antarctica can reach a speed of 200 mph. Almost 98% of Antarctica is covered in ice. Antarctic ice sheet is also the largest single piece of ice on earth. This frozen continent is also home to world’s 70% of freshwater. Despite its harsh environment, some amazing animals and birds live in Antarctica including penguins, seals, whales, seals, dusky dolphins, wandering albatross, shearwaters, and petrels.